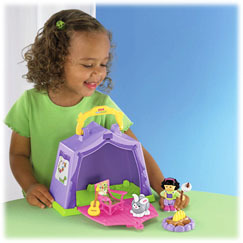 Fisher Price has issued a recall for the Little People Camp ‘n Go Campsite set because the plastic “Sonya Lee” figure can break at the waist, posing a choking hazard for young children. Parents should take the figure away from children and contact Fisher Price at (800) 432-5437 or online to exchange it for a new figure. Proctor & Gamble is expanding its previous recall to include select specialty dry pet food products that are sold in veterinary clinics and specialty pet stores because of the danger of salmonella contamination. Consumers should discard these products without handling them any further, and people and animals who have had contact with the affected products should watch for signs of salmonella. For more information or to receive a product replacement, call (877) 340-8823. Valley Meat Company is recalling 1 million pounds of ground beef patties and ground beef products that may be contaminated with E. coli. Affected products were produced between Oct. 2, 2009 through Jan. 12, 2010 and distributed to retail outlets and institutional providers in California, Texas, Oregon, Arizona and internationally. For a full list of affected products, please click here.